I am a self-confessed Jane Austen addict. 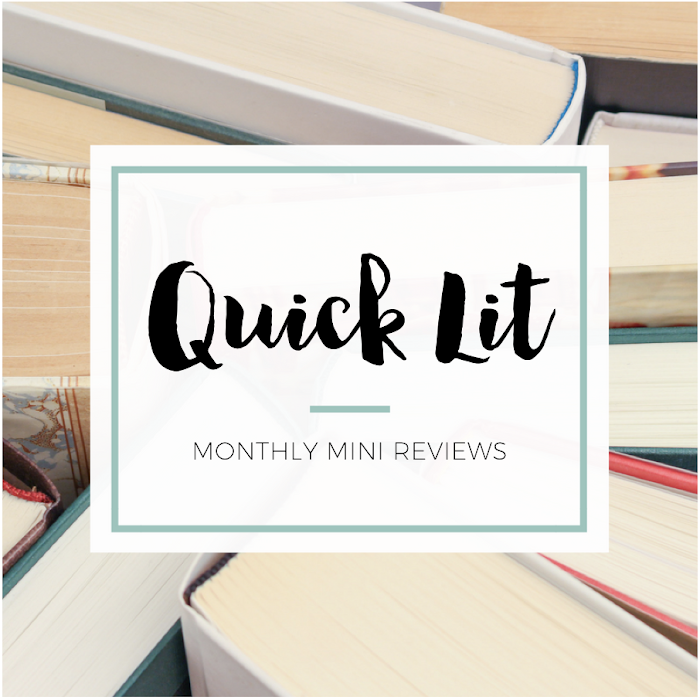 I just can't help it, and my addiction has often led me to pick up crazy retellings, sequels or re-workings (that often just don't work). 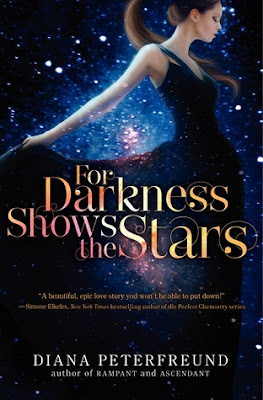 For Darkness Shows the Stars is inspired by Austen's Persuasion, so it's obviously right up my alley. But, the truth is, I wasn't going to read it. The blurb just didn't appeal to me. I've read so many bad books inspired by Austen that I'm more wary of which ones I try these days. Then, I started seeing a lot of great reviews for this book, including this one from April at Good Books and Good Wine. If April loves it, I feel like I must read it. AND I LOVED IT! This is the complete opposite of a bad Austen retelling, y'all. I know a lot of reviewers have focused on the swoon, the world building, the characters, and I'll mention all of that soon. First, I just want to talk about how this is the best kind of Austen-inspired book. So many of them just recycle Austen's plot in a modern setting, or they try to re-create her characters in the world they've created. Usually, it's a major fail. In books like those, the characters and story are just imitations, knock offs, and hardly deserve to be associated with the real thing. What Peterfreund has done, however, is develop rich, complex characters. They have histories, a backstory, fears and feelings. Yes, they are inspired by their Austen counterparts, but they aren't dependent on them. They are exciting characters, even if you haven't read Persuasion. They don't need Perusasion to exist on the page because they exist in their own right, if that makes sense. Now, let's talk about this world. It deserves a ton of praise. It's interesting, different, and unlike anything I've read before. However, even in this seemingly post-apocalyptic setting, it's like you can still recognize Regency England. The class system, the rigidity of manners and doing what's expected... it's all there. I loved that part of this book! You could see how Persuasion was woven throughout, but it was done in a caring and thoughtful way. Peterfreund doesn't just lift from the original. You can tell she studied it, learning its nuances, and used it to inspire her own work. The best part of this book is that you don't need to have read Persuasion to appreciate it. The story is exciting, compelling and engaging all on its own merits. But, if you have read Persuasion, I think you'll only appreciate the story more. The richness and depth of For Darkness Shows the Stars will help you appreciate the work that inspired it all the more. "In every letter, in every line, she saw him. He hadn't changed - he'd only grown into the man he'd meant to be." Like you, I've been on the fence about whether this is a book I really want to read or not. I'm always so disappointed by bad retellings. I'm glad you enjoyed this and that it's more than a recycled storyline! Great review! Thanks Taylor! Yeah, I've gotten really tired of Austen retellings in particular because there are SO MANY bad ones. Hope you like this if you end up reading it! Oh I KNOW that I want to read this one, I just haven't made the time to do it yet. 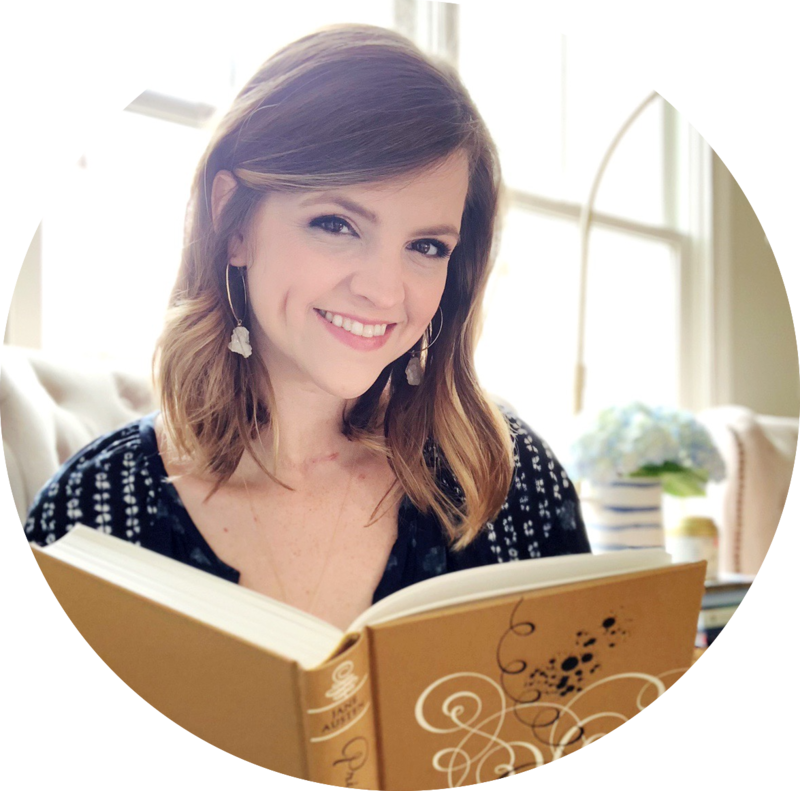 I read a glowing review by Lauren from Love is not a triangle, and she is so convincing and knows my reading style so well. It is in my "soon" pile near my bed - I can see it right now. Maybe this will encourage me to make it "sooner." Also there is a prequel on Amazon for this book. It is free, which makes me super happy. It's called Among the Nameless Stars - not sure if you knew about that or not. Since I haven't read this book, I don't really know much information to give you about the prequel, but at the whopping price of FREE, there's really nothing to lose to at least grab it and try it. Great review, Hannah! Oh, and isn't this such a pretty cover? I love it so. I really love this cover! I read it on my Kindle, but it's even prettier in person. And I know I heard about the free prequel, but I don't think I've downloaded it. Off to do that now! Ok you've taken a book I had no interest in and convinced me to look into it. Bravo! Marvelous quotes too. Yayyyyyy! This makes me so happy :) You have no idea! Yeeees! This was an AWESOME book! I've had it for a while but it sat on my shelf forever! Of course, once I started reading, I couldn't put it down! I haven't read Persuasion, but I might have to one of these days! You should definitely read Persuasion! It's so lovely and romantic. It's tied with Pride & Prejudice as my favorite Austen. I fell in love with this book. It's beautifully written, and the romance is lovely! Actually, after reading it, it made me determined to start reading Persuasion... And I hope I get to reading it this year! You should read Persuasion! It's actually a short book and can be a pretty quick read. It's such a lovely read, Alexa. Get to it in 2013! If given the choice, would you read Persuasion first? AH LISA! I just don't know. I think you will enjoy it regardless of whether or not you've read Persuasion, but I think you'll appreciate it MORE if you read Persuasion first. Or else I'd re-read it after I read Persuasion. It definitely adds even more depth to the story when you know what inspired it.